Manhattan District Attorney Cyrus R. Vance, Jr., today announced the indictment of DEMETRIUS WASHINGTON, 19, for fatally shooting 18-year-old Jordan Barber and wounding two others at the Polo Grounds Towers in Washington Heights. 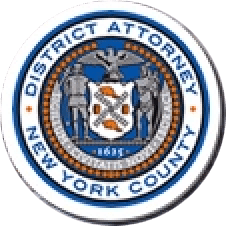 The defendant is charged in a New York State Supreme Court indictment with Murder in the Second Degree, Attempted Murder in the Second Degree, Assault in the First Degree, and Criminal Possession of a Weapon in the Second Degree. According to the indictment and documents filed in court, at approximately 10:45 p.m. on June 29th, WASHINGTON and a group of individuals approached the victim and several of his friends in the center courtyard of the Polo Grounds Towers at West 155th Street and Frederick Douglass Boulevard after a nearby basketball tournament at Rucker Park. Following a dispute, the defendant fired several shots at the victims, fatally striking Jordan Barber in the neck and hitting two others, one of whom was shot in the shoulder, and the other of whom was struck in the leg. WASHINGTON fled the area and was arrested by the NYPD on July 8th. This deadly shooting follows other recent violence at the Entertainers Basketball Classic tournament in Rucker Park. In January 2014, Ricardo Laing pleaded guilty to five counts of Assault in the First Degree and one count of Criminal Possession of a Weapon in the Second Degree for shooting into a crowd with a semi-automatic firearm and injuring five people at the tournament in July 2012. He was later sentenced to 10 years in state prison, with 5 years post-release supervision. Assistant District Attorney Antoinette Carter is handling the prosecution of the case, under the supervision of Assistant District Attorney Kerry O’Connell, Chief of Trial Bureau 80, and Executive Assistant District Attorney John Irwin, Chief of the Trial Division.